Recent natural hazards around the world have raised awareness of our vulnerability, challenged our scientific understanding, and questioned our ability to predict and prepare for such events. This lecture will take recent examples and use them to explore implications for the research agenda in weather and climate modelling and prediction and how to translate predictions into advice, products and services that address user needs. 150 years after the first public weather forecast was issued by the UK Met Office, the prospects of modelling and predicting hazardous events and their impacts will be discussed in terms of our current capabilities and what investments are needed in model development, supercomputing resources, and the science of interdisciplinary impacts. We live in an uncertain world and preparedness requires us to take account of that uncertainty. The challenges of moving towards more reliable and confident predictions based on probabilities and-risk based assessments will be discussed. 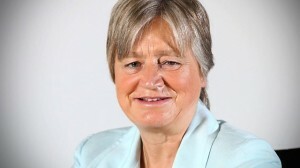 Professor Julia Slingo, DSc OBE became Met Office Chief Scientist in February 2009. The Met Office is the UK’s National Weather Service and has been involved in climate change research for more than two decades. Prior to her current position she was the Director of Climate Research in NERC’s National Centre for Atmospheric Science at the University of Reading, where she continues as a Professor of Meteorology. In 2006 she founded the Walker Institute for Climate System Research at Reading, aimed at addressing cross-disciplinary challenges of climate change and its impacts. Prof. Slingo has had a long career in climate modeling and research, working at the Met Office, the European Centre for Medium Range Forecasting (ECMWF) and the National Center for Atmospheric Research (NCAR) in the USA. Her personal research addresses problems in tropical climate variability, its influence on the global climate, its role in seasonal to decadal climate prediction, and its response to climate change. Increasingly, Prof. Slingo’s research considers the multi-disciplinary impacts of climate variability and change on crops and water resources, and hence the need to improve the representation of weather systems and rainfall distributions in climate prediction models. Prof. Slingo has contributed to the Stern Review on the Economics of Climate Change and to the Fourth Assessment Report of the Intergovernmental Panel on Climate Change. She has served as a member of national and international committees including the Met Office and ECMWF Scientific Advisory Committees. In 2007 she was appointed to the Joint Scientific Committee of the World Climate Research Programme. In 2008 she became the first woman President of the Royal Meteorological Society. Prof. Slingo was awarded the honorary title of Doctor of Science from the University of Bristol in 2010 and was the recipient of the same honor from the University of Reading in 2011.